Happy 65th Anniversary To Charlie Brown and the Peanuts gang! Good grief! Has it really been 65 years since this group of friends hit the scene? 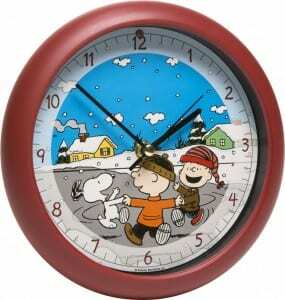 Yes, Charlie Brown and the Peanuts gang made their comic strip debut on October 2, 1950. 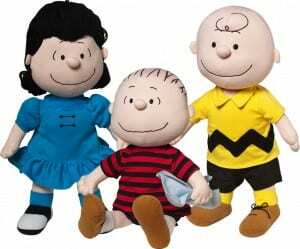 Their creator, Charles Schultz said he based his lead character on the average person — a lovable loser — because like Charlie Brown, most of us are more acquainted with losing than with winning. That’s probably why Charlie Brown has become a beloved All-American hero of sorts; he’s a lot like us! We love Charlie Brown for his down-to-earth grit, honesty, and how darn hard he always tries to succeed and do the morally right thing, too. Over the years, he and his gang have made us chuckle, laugh, cry, and no doubt blush when we saw ourselves in them. 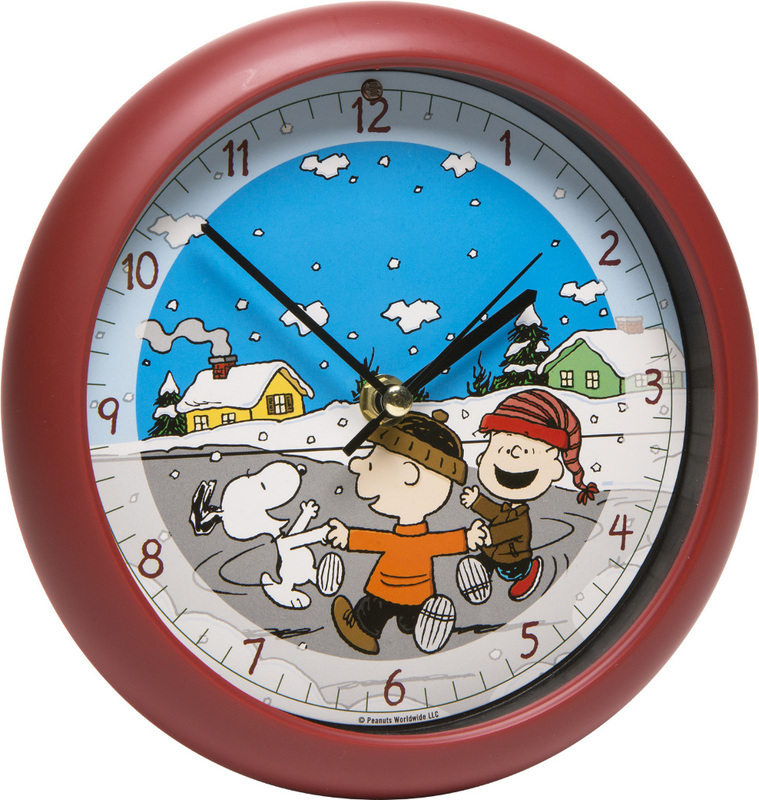 For Christmas 2015, we’ve put together an extra-special Peanuts collection to celebrate this iconic bunch of characters. We hope they bring back fond memories for you, and help you to share cherished times with your children and grandchildren. 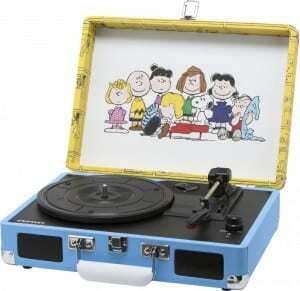 Sure to strike a chord with Peanut fans, this portable record player from Crosley is lightweight and compact. 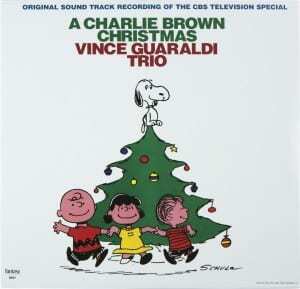 Of course it’s decorated with the talented Schroder, along with the whole Peanuts gang who shares in his love of music. It plays at 3 speeds—331/3, 45, and 78 rpms—and features impressive sound with 2 built-in stereo speakers and RCA audio. It’s even compatible with your digital music devices! Crank up both the music and the memories with this vintage children’s holiday album. 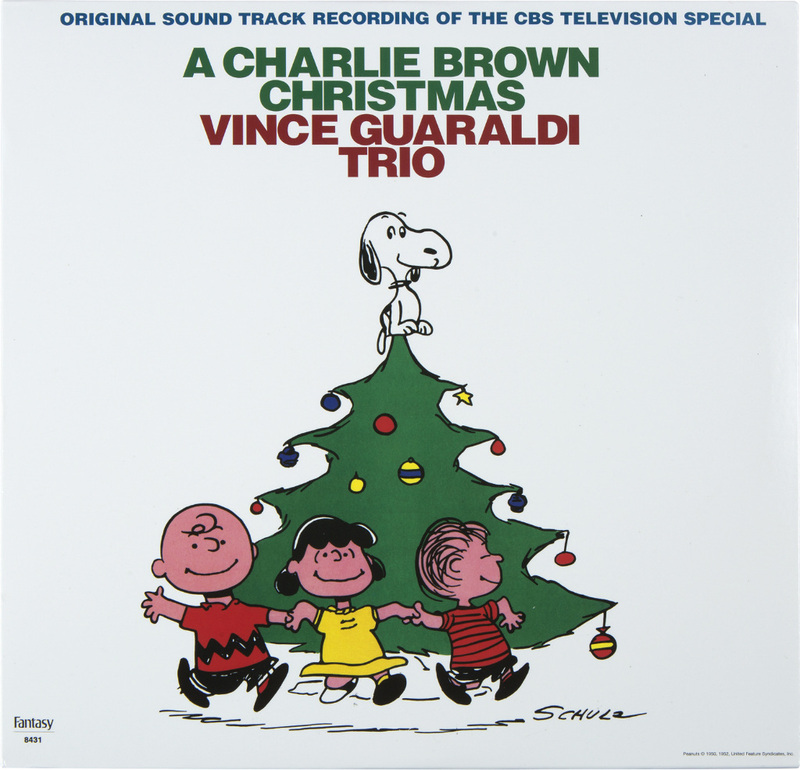 A Charlie Brown Christmas contains the original sound track from the 1965 television special. 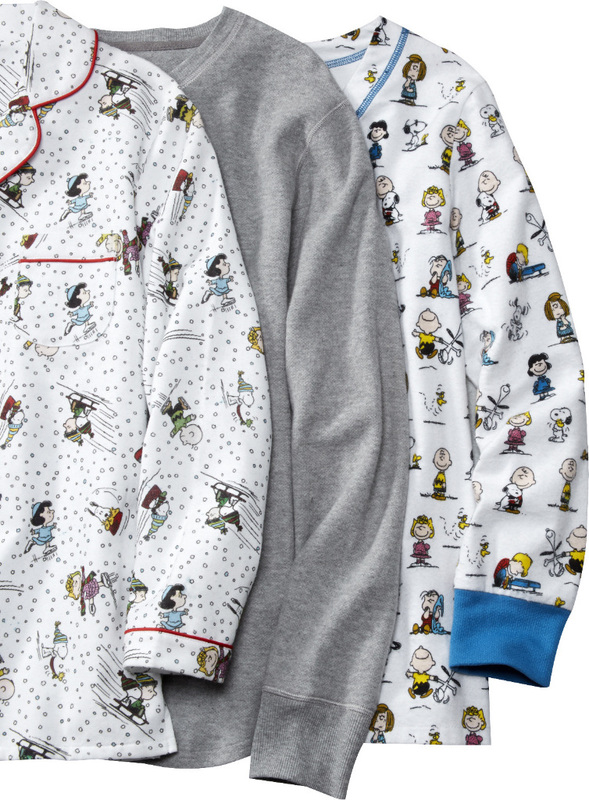 Charlie Brown and friends remind us how much fun it is to sled, skate, and of course cozy up in our exclusive sleepwear for the entire family. They’re super soft and decorated with exclusive prints based on the original comic strip. 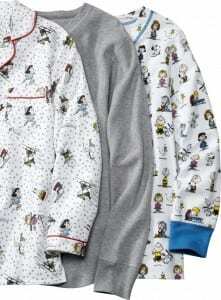 Jammies for boys and girls are a cuddly-warm micro polyester that will put a happy end to bedtime battles. Women’s and men’s nightgowns and pajamas are equally cozy. You’ll find yourself singing along when our caroling clock announces each hour with one of 12 traditional Christmas carols. It includes the all-time favorite classics Silent Night, Joy to the World, Deck the Halls, We Wish You a Merry Christmas, Hark! The Herald Angels Sing, O Christmas Tree and The First Noel. It also has a light sensor that deactivates the carols when a room is dark, so it won’t keep you up at night. Slip into the toasty comfort of our novelty slippers featuring an embroidered Charlie Brown on skates or Woodstock with skis. They’re as cozy as they are cute, with a padded footbed, plush faux Sherpa lining, and indoor/outdoor rubber sole, so you can scoot outside to get your newspaper and mail. 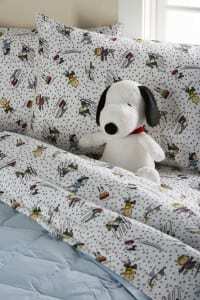 Pair them with our Peanuts sleepwear and really have fun! These small, posable toys provide a whole lot of fun and laughter for kids and kids at heart. 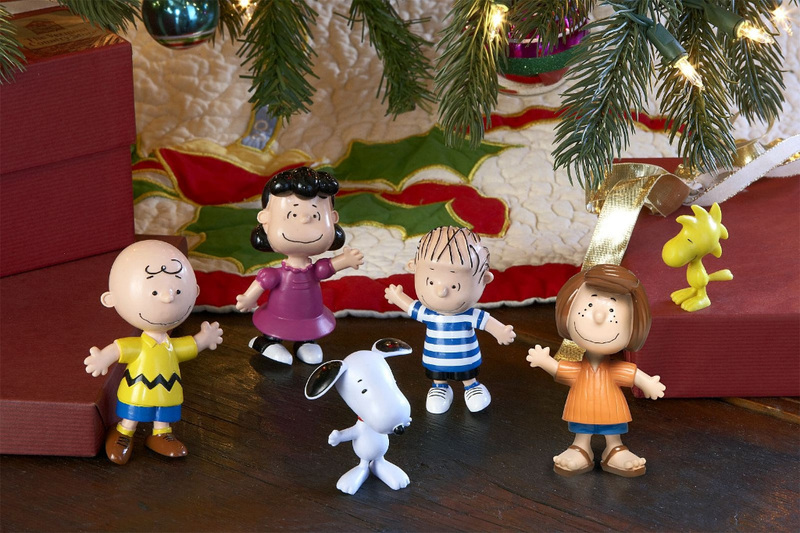 Lucy, Linus, Snoopy and Woodstock, Peppermint Patty, and everyone’s favorite blockhead, Charlie Brown, all bend so you can pose them any way you like. They make perfect stocking stuffers, and you may want to keep a few on hand in the car to entertain kids during commutes or longer trips. Collect all six! Each of our plush dolls comes dressed in a removable outfit and boasts embroidered facial features. They make great companions or decorations. Set them on a chair or couch and count the seconds before someone hugs them! Good grief, what are you waiting for? 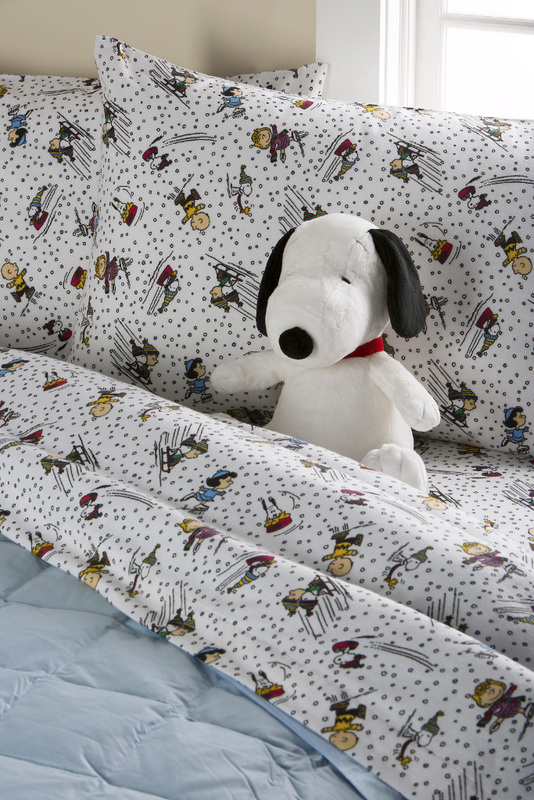 Shop our exclusive Peanuts Collection now!